Health care cost containment is a critical issue facing every participant in the health care system. Efforts to contain costs, however, appear to have given rise to dangerous financial arrangements between health insurers and pharmacists that may be jeopardizing the health of California patients. A loophole in California law allows your health insurer to give a financial kickback to your pharmacist every time the pharmacist switches your medication to older, cheaper, non-chemically equivalent drugs from those originally prescribed by your doctor, even without your knowledge. Switching patients to non-chemically equivalent drugs is a potentially dangerous practice known as “therapeutic substitution.” Unlike switching patients to identical generic drugs – which simply function as a cheaper alternative – pharmacists who make therapeutic substitutions are subjecting patients to drugs with different ingredients and dosages, different release mechanisms, and different side effects and complications. For the more than 1.5 million Americans living with lupus, a therapeutic switch can directly result in a decline in health. Although two medicines may treat the same condition, when the ingredients are not the same, there can be different side effects or treatment can be ineffective. There is currently no cure for lupus and many patients take up to 20 pills every day simply to mitigate the symptoms of the disease. Those patients need to know they are getting the medications their doctor prescribed. California law currently prohibits physicians from receiving any financial incentive from insurers for prescribing any particular course of treatment. 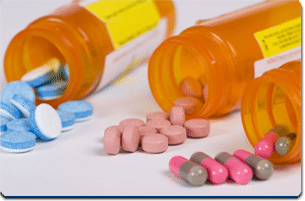 Because of a loophole in the law, however, pharmacists are allowed to take a kickback from an insurer every time they make a therapeutic switch to a cheaper drug. Perhaps not surprisingly, physicians report a spike in the number of requests to authorize these switches, leaving physicians without any idea if the pharmacist is recommending the switch because it is in the best interest of the patient or if it is because the pharmacist is receiving financial compensation for the switch. Pharmacists are a critical part of a collaborative health care environment based on ethics and trust. Pharmacists are rightly well-regarded figures in their communities, and when pharmacists provide counsel, patients listen. Prescribing physicians also routinely take the advice of pharmacists on alternate therapies, without question, for any number of reasons. A pharmacist may know that a patient’s health plan does not cover the medication a doctor has prescribed, for example. Pharmacists may also have knowledge of patient history that can help patients avoid negative drug interactions. California patients should be confident that treatment decisions are based solely on what is in their best interest and should not have to worry about whether their pharmacist is being unduly influenced by health insurer kickbacks. California Assemblymember Toni Atkins from San Diego has now introduced Assembly Bill 670, common-sense legislation that will shine a light on the dangerous practice of therapeutic substitution and close the loophole in the law that allows pharmacists to take kickbacks for making a therapeutic switch. The Lupus Foundation of Southern California applauds Assemblymember Atkins and urges all California legislators to stand with Assemblymember Atkins in protecting patients. Hollaine Hopkins is the executive director of the Lupus Foundation of Southern Californiaand a long time advocate for lupus treatment and research. She is also associated withCombined Health Agencies and the Lupus Research Institute.